Lately, it seems like every few days, there’s a new reboot, reunion or sequel announced, with our favorite characters returning in new TV shows, movies and more. However, we aren’t counting on a reboot of The Office since one of its pivotal stars, Steve Carell, has said time and time again he doesn’t think it would work. Then again, the cast keeps hanging out and taking epic reunion photos, so maybe there’s hope after all. 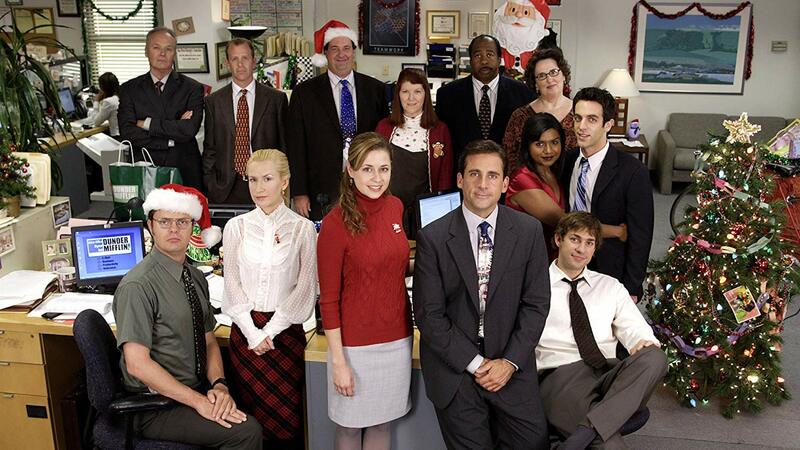 On Sunday, 10 members of The Office cast hung out together at showrunner Greg Daniels’ house, even taking a group photo that was meant to imitate one taken for the show. Rainn Wilson, Creed Bratton, Angela Kinsey, Paul Lieberstein, Jenna Fischer, Brian Baumgartner, Leslie David Baker, Phyllis Smith, Oscar Nunez and Ed Helms all had brunch together with Daniels. “Some of the old gang got together today… it was so great to see everyone!” Kinsey, who played Angela on the series, wrote on Twitter. “I turned to Ed and said, ‘I feel like we are at a family reunion.’ He smiled and said, ‘We are. '” She included a heart emoji, of course, and thanked Daniels for hosting, then noted the cast members who weren’t in attendance were sorely missed. Meanwhile, Fischer said they’d see cast members who couldn’t make it — Carell, John Krasinski, Mindy Kaling, B.J. Novak, Ellie Kemper, Craig Robinson and Kate Flannery — soon. That seems pretty likely. Two weeks ago, Carell did his third stint as host of Saturday Night Live, and during his opening monologue, audience members and SNL cast members made his monologue into a Q&A instead. They all had just one thing on their minds: whether or not we’ll ever see a reboot of The Office. Then a series of Office alums joined the party, each one getting more irritated that Carell refuses to reprise his role as Michael Scott. Meanwhile, other cast members, including Fischer and Krasinski have gone on the record saying they’d be into the idea of playing Pam and Jim again. Rumors of an Office reboot have been swirling since at least 2017, and with every reunion — on SNL or during brunch at Greg Daniels’ house — it seems more and more inevitable that we’ll see this cast together in some official capacity very soon. So, has Carell just been faking us out? Is an Office reboot on the way? We’re all for casual brunches with former coworkers, but we’re also ready to see our favorite office mates on-screen together again.